Well doesn't time just fly by! I can't believe it's 2014 already, time just goes by way too fast, hell, I remember writing my new years resolution post like it was yesterday. Christ, how corny does that sound... I'm so sorry for that people, it won't happen again. Anywho, this years I've decided I'm not gonna have any New Year's Resolutions, that way there are none to break; instead I'm just going to try and make the most of every day, find what I'm interested in and actually do it. Oh my god, I've done it again, that sounds corny too! Sorry sorry sorry. So yup, it's a new year, and this year I'm gonna give my blog all the love and attention it deserves, with even more reviews, outfit posts, some random pictures taking, oh yeah, and a whole lot more sarcastic little comments, you know, a bit more personal. And I may just throw in a few giveaways, everyone loves a giveaway right, free stuff man, it's the way to go. Aaaand, even more sponsors, lets give everyone the chance to advertise their little space of the internet. This year I'm also hoping to make a few new friends in this little blogging world, there seem to be alot of you out there who are just darn nice, and quite frankly, you can never have too many friends, so get in touch. Oh and if your sarcastic too, then you and me will definitely get along! Here's to 2014 people, let me know your plans for this year, any resolutions? 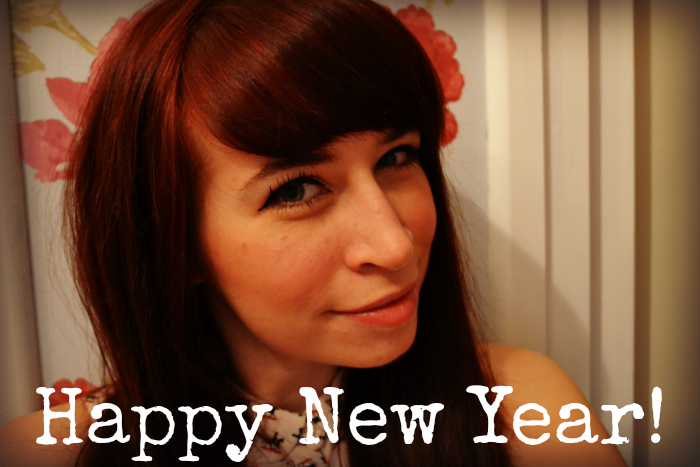 Sending you lots of new year wishes, luck and loves!! Happy New Year to you lovely! Love this post! I'm looking for some blogger friends too and I can be quite sarcastic :) I've not set myself any resolutions as such but I have set out a few things I want to achieve this year, places I want to go, etc. I'm not really having any resolutions either, except to maybe stop procrastinating so much and just get on with things. Netflix is my downfall. Happy New Year! I write my first new year resolutions this 2014, I think it's gonna be amazing experiences for me. I love starting something new everyday especially about blogging, I Love your blog anyway, Outfits photos are my favourites. Can't wait for any inspirations this 2014.